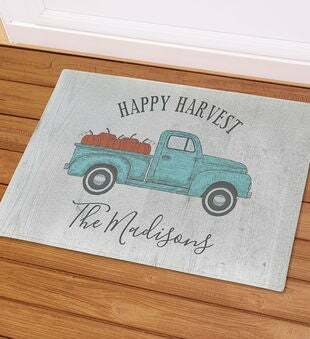 Our Personalized Happy Harvest Doormat is the perfect decoration for fall. Personalize this doormat with any family name you choose. Makes a great housewarming gift!